World dental implant authority holds successful conference in Manila. 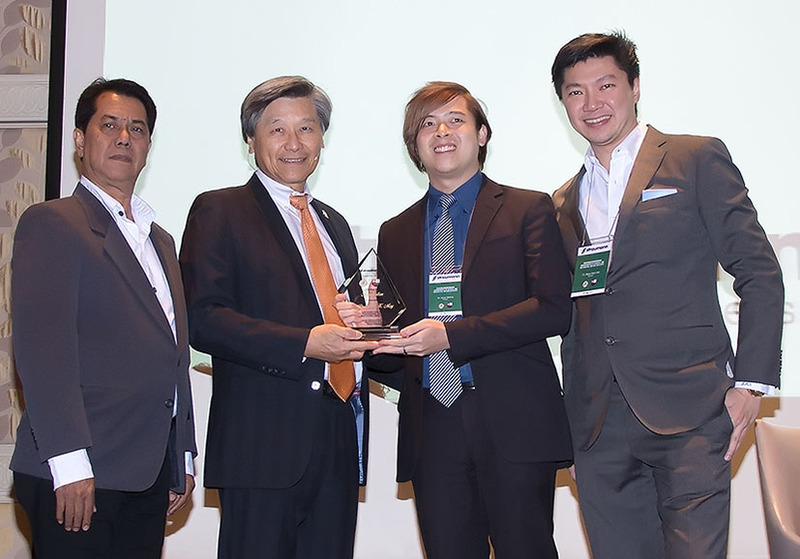 Los Angeles-based dental implant surgeon Dr. Peter Moy held recently a successful, sold- out seminar on dental osseointegration at the Rizal Ballroom of the Makati Shangri-La Hotel. His first-ever seminar in the Philippines consisted of two sessions – a lecture on dental osseointergration in the morning and a live dental implant surgery in the afternoon. The conference was organized by Straumann Philippines, the world’s leading implant, restorative, and regenerative dentistry firm, GT Industries, Philippine Prosthodontic Society, and Philippine Academy of Esthetic Dentistry. Photo shows Dr. Peter Moy (2 nd from left) with (L-R) Dr. Tony Concepcion of Philippine Prosthodontic Society, Dr. Aaron Neal Lu of Philippine Academy of Esthetic Dentistry, and Dr. Steve Mark Gan of GT Industries.